Outrank your competition and increase the traffic to your website by having a website that is built with the right content and code. 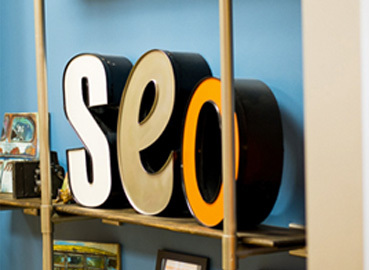 We can help you find the right key terms and get your website ranking higher. Many of your customers may experience your website before interacting with you or your sales team. Be sure your online marketing perfectly reflects the level of your professionalism and quality. Your website should be one of your main pipelines for generating leads and driving sales. If you have steady traffic but can not increase sales, your website is broken. Let's fix the conversion rate. This is why we build WordPress websites. This popular Content Management System is simple to use and easy to update content and images. We offer WordPress support and training too. We build custom responsive WordPress websites - That work! Need a Website Design Company in San Antonio? We are a team of web designers and developers who are excited to offer the experience gained over 15 years of being in the web industry. We build custom WordPress websites to meet any need. Our team is local and ready to design for your company. Connect with us today for a free, no-obligation quote. Let us be your WordPress support team! While WordPress is easy to use, you might not have the time or even the desire to maintain your own website. That's why we offer WordPress Support for your website on a monthly basis. 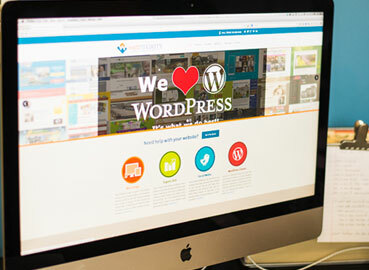 Let our team of WordPress experts help you keep your website running smoothly and up-to-date. If you're looking to tackle these tasks yourself - we also offer locally for those in San Antonio and online WordPress training. There is so much more to online marketing than just building a great looking website and having a few social media accounts. Even if you're outside San Antonio - we can still help you improve your local SEO. We want to help you build an online presence that truly reflects your brand, engages your customers, and converts sales! There's a way to do this, but it takes a plan. We've got it & we're ready to help you!